Snow Days, Spring Dreaming, and More! Ahhh I cannot even explain how happy I am to have a snow day! Slowing down has become such a part of my world, and I can’t tell you how much better I feel with honoring this part of the manifestation process. I hope you are enjoying a resting and relaxing day, whatever weather you are having. So it is time for another monthly blog post update. Things are going well! We are having a blast with online classes. I hope you will consider joining us for one. You can find the full schedule on the Courses page, and message me to hold your space. 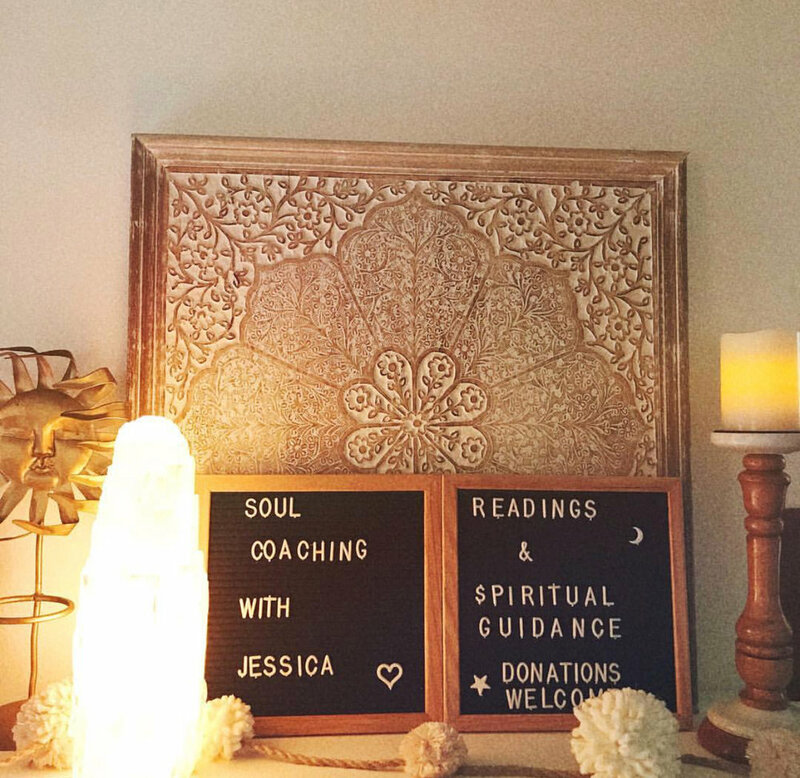 Each month we have a Full Moon Gathering, a Tarot Tune Up class, and other special event courses. I am looking forward to our first Pendulum workshop, it will be great to incorporate this tool into our spiritual intuition toolkit! I am considering working with Runes, anyone use them? I think it would be fun to work together to develop that tool as well. So many options on the path! I am also enjoying booking events, and I am open to private events and business partnerships if you’d like to discuss. I have a fun event coming up next month at the Jersey Shore with my dear friend Julie. More info on that to come soon! As much as I am enjoying the slower pace of winter and the joy of snow days spent cozy at home, I can’t help but feel excitement for the coming Spring season! I look forward to planting my background herb garden, continuing my work with growing houseplants and expanding my skills and knowledge into working with trees. There is just something so special about growing things from your own hands, ya know? I will have some really great Spring inspired specials coming up, so be sure to follow my Instagram account. You can always find the current specials there, posted in my highlights under the Specials section.